Beanies Coffee – French Vanilla, Double Chocolate, Rich Hazelnut and Ginger Bread! In need of an beginning of the week pick me up? I’m not a big fan of regular coffee and usually stick to my cups of tea, but I am a sucker for flavoured coffee! If you are more of a tea lover than a coffee fan then you may prefer my Bluebird post. My favourite flavour is hazelnut coffee, that extra hint of flavour just makes a coffee taste so much better. I was recently sent some of the new flavours from Beanies Coffee to try out; French Vanilla, Double Chocolate, Rich Hazelnut and Ginger Bread. The flavours are so unique and nothing I have ever heard of before with coffee, especially Ginger Bread. I already know of quite a few friends that these Beanies Coffees could be a potential gift for. They also have some fantastic Christmas themed Coffees, wrong time of year but perfect Christmas gifts to coffee lovers or difficult to buy for relatives. Beanies Coffee is available at Salisbury’s but are limited in flavours available there. I already tried the Cinder Toffee coffee that they do before but wasn’t a big fan. 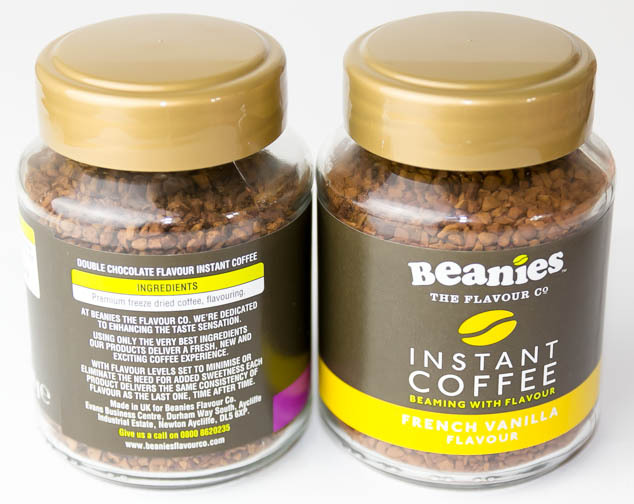 Beanies Coffee do have an Irish Cream Flavour available at Sainsbury’s though which I think I need to try. The first coffee I tried was the French Vanilla Coffee. The smell is fantastic. It has a hint of vanilla, just an after taste so it isn’t overwhelming. It also doesn’t make the coffee too sweet or sickly, I still had to add a sweetener as I like sweet coffee. It has a really subtle flavour that compliments the coffee well and is my favourite of the different flavours. All the coffees I’ve found to have to most amazing smell, and be the right consistency of coffee to flavour. You get a hit of coffee taste initially and then the taste of the flavour of choice. If you enjoy sweet tasting flavoured coffee I would recommend the French Vanilla over the Double Chocolate and Rich Hazelnut, although all are pretty delicious. 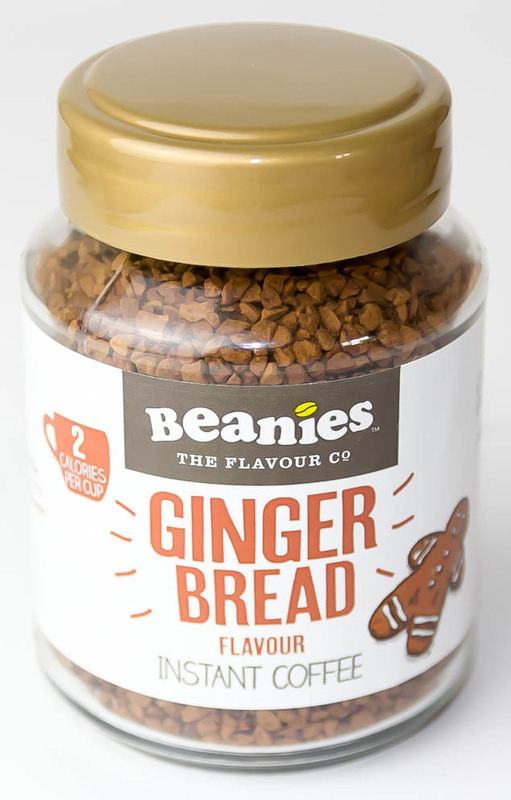 For those a bit more daring with their coffee choices or big ginger fans you have to try the Ginger Bread Beanies Coffee. It also definitely gives the best aroma too! The coffees are great for a sweet tasting treat as they are so low in calories. There are 2 calories in a cup (excluding milk) but leave you with that satisfying feeling as though you’ve just had something naughty. 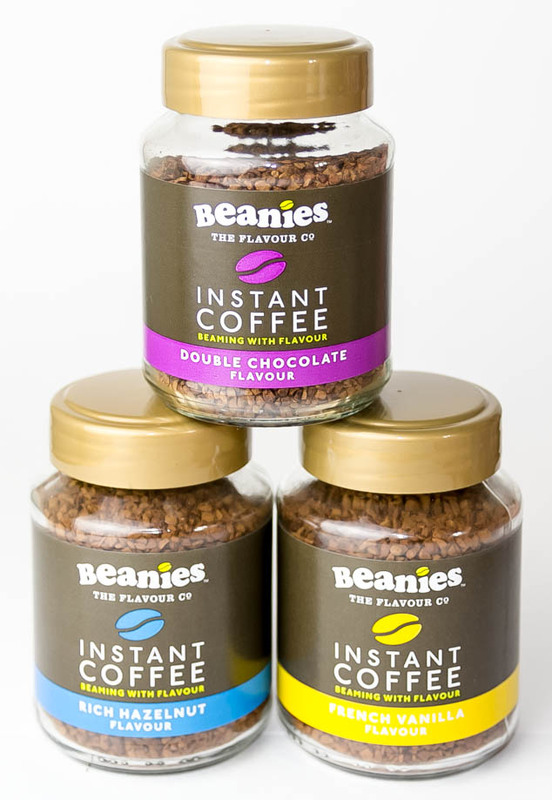 Have you tried any of Beanies Coffee’s different flavours?